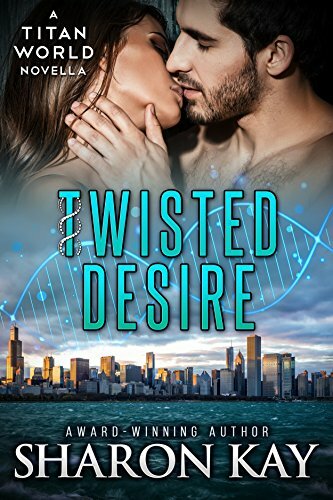 Twisted Desire is a short, captivating, and riveting novella that introduced the Watcher and Titan Worlds. It’s a great blend of contemporary and paranormal. I very much enjoyed and savored Twisted Desires. Rhys gets stumped trying to hack into an organization and decides he needs to contact an old buddy. Parker, works for the Titan organization, has worked with Rhys in the past, and once Rhys tells him what’s up, his interest is piqued. Locke, a new Titan member tags along with Parker to help. These three work well together. I enjoyed learning a little about each character. During the investigation these three didn’t expect to run into one of the scientist, Meghan, that work’s at the company and who is the only witness to a murder. During all of this Rhys has to keep the paranormal aspect of the investigation a secret from all the humans. We get a little mystery, a little suspense, a little action, and a little set up for a couple to maybe one day get a full book. It was a marvelous blend of genres and a great introduction to both worlds. *Disclaimer: I received a complimentary copy provided by Sharon Kay with the sole purpose of an honest review. All thoughts, comments and ratings are my own.